The Musuem is completely accessible for disable visitors thanks to an elevator that arrive in the rooms and at the entrance of the Theater from the Museum. You can use the elevator asking help to the personal at the entrance. For the disabled visitor and for the companion the entrance it’s free. Guide dogs for the blind and visually impaired can enter in the Museum. Every year is organized a plan of initiatives called Museo senza limiti, for encourage the accessibility. The blind and visually impaired. Guided visits and workshops using sounds (in co-operation with the Unione Italiana Ciechi and Istituto dei Ciechi of Milan). Guided visits (in co-operation with the Fondazione Palazzolo Don Carlo Gnocchi of Milan). 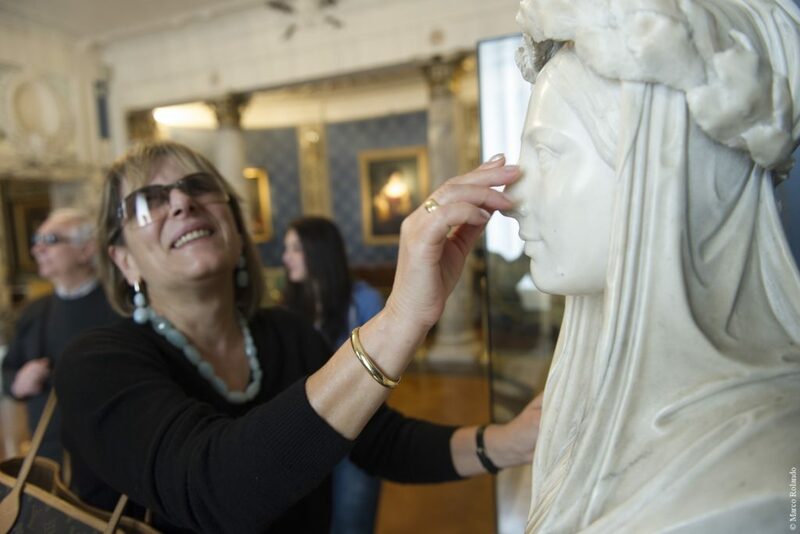 Guided visits with the aid of a sign-language interpreter (in co-operation with the Ente Nazionale Sordi). Choir workshops in co-operation with the Children’s Choir of the Teatro alla Scala and the Associazione Famiglie SMA Genitori per la ricerca sull’Atrofia Muscolare Spinale. Community centers in peripheral urban areas. Guided visits in co-operation with the Centro Sociale Barrio’s and the Associazione Luisa Berardi Onlus. Guided visits (in co-operaton with UILDM Unione Italiana Lotta alla Distrofia Muscolare). Admission is free for people living with a disability and an accompanying person.